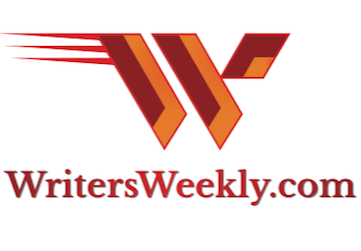 WritersWeekly.com | Paying Markets for Writers, Freelancing Job Listings, and Whispers and Warnings About the Writing and Publishing Industries! World's Worst Query Letters and Book Proposals For April, 2019! Published on April 19, 2019. Published on April 18, 2019. Glenna Murdock on World’s Worst Query Letters and Book Proposals For April, 2019! 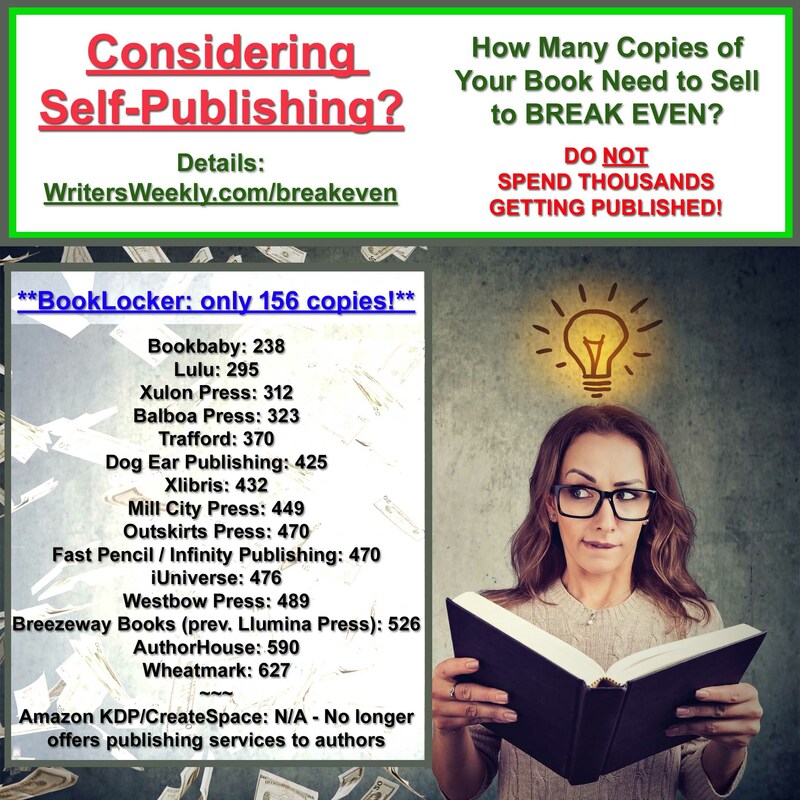 By Angela Hoy - Publisher of WritersWeekly.com on UPDATED – 2019 Self-Publishing Price Comparison! Fatima Caruthers on UPDATED – 2019 Self-Publishing Price Comparison! Seamus OBrog on World’s Worst Query Letters and Book Proposals For April, 2019! 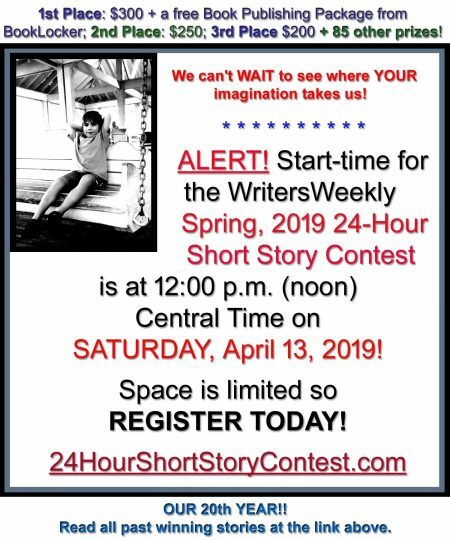 By Angela Hoy - Publisher of WritersWeekly.com on World’s Worst Query Letters and Book Proposals For April, 2019! 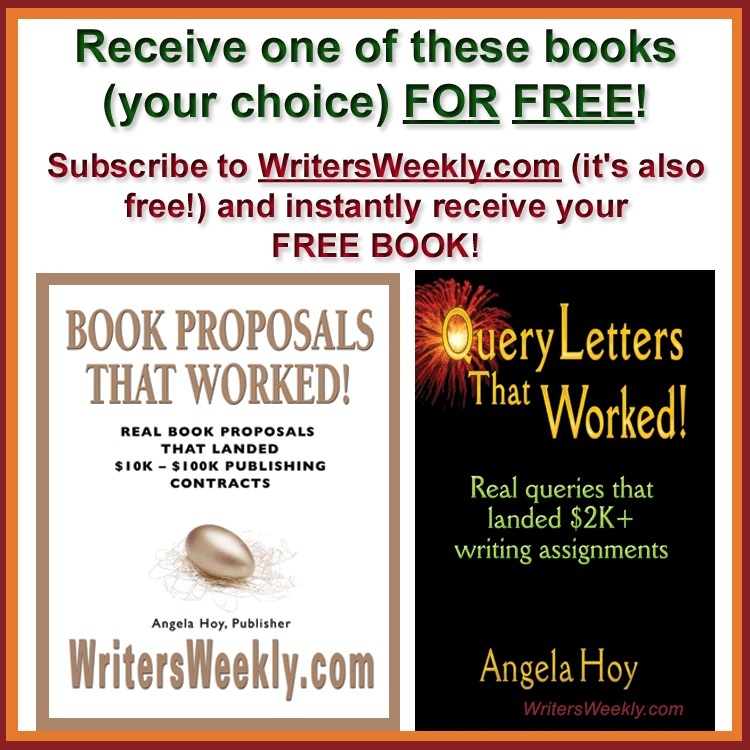 Pamela Allegretto on World’s Worst Query Letters and Book Proposals For April, 2019!